2 Beds 1 Bath 1 Partial Bath 987 Sq. ft. Call Sally at 641-990-2503 for more information. 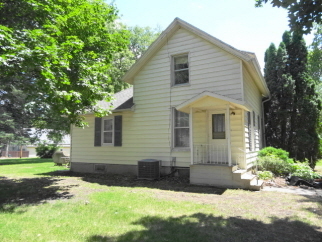 This home is located in a Historic District of NE Grinnell. A perfect first time buyer home with a nice location, walking distance to the college and downtown. This 1 1/2 Story home has a newer roof, furnace and central air. The main floor includes a laundry room with washer and dryer, kitchen, updated full bath and large living room. Possible to have a main floor bedroom. Upstairs has 2 bedrooms and a half bath. Brand new carpet in second floor bedrooms. Full basement and a 1 car garage. Nice sized backyard. Call Sally at 641-990-2503 for more information. This 1 1/2 Story home has a newer roof, furnace and central air. Original wood floors in the living room & updated baths.